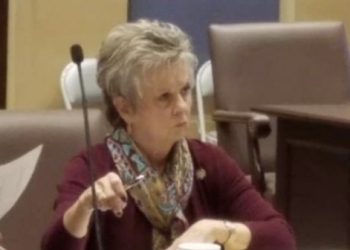 Bartlesville's Senator Julie Daniels says property rights are important constitutional rights individuals have in Oklahoma. Daniels says she has taken on a bill this week that was passed by the House. The measure focuses on ensuring a landowner's groundwater rights are not taken away in an eminent domain action, unless the landowner permits it to be taken. Daniels said when a landowner has their surface property taken and they are still operating an agricultural business adjacent to that property, or the groundwater is being used for municipal reasons in a nearby town, a government authority could very well compromise the livelihood and sustainability of everyone in the area. Daniels says the Turnpike Authority and the Oklahoma Department of Transportation have been agonizing over this measure. She said she took the title off the measure since it is an ongoing negotiation but she said she is in favor of protecting groundwater rights. The drought in Bartlesville 20 years ago proved to Daniels how critical water is to agriculture and municipal issues that impact economic development.